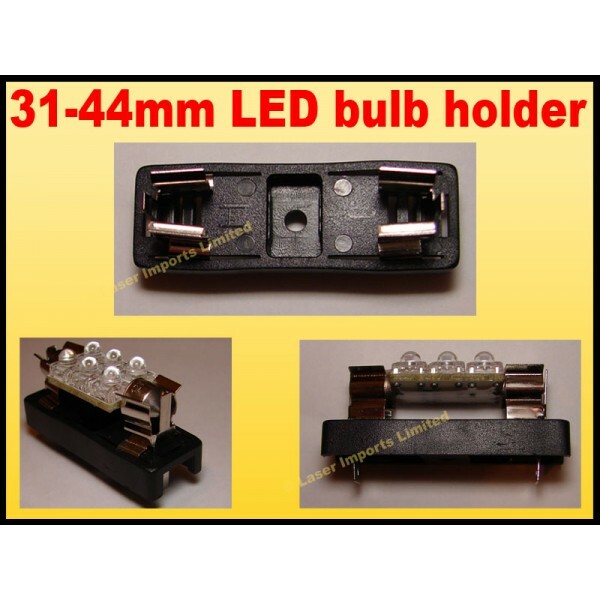 This Led Festoon bulb holder can take the 31mm, 36mm bulbs. The bulb is not included with the holder please see my other listings for the bulbs. To mount the holder there is one screw hole in the center of the holder. The spade terminals can be bent sideways and connectors pushed on to them. After a bulb is installed it can be twisted around so you can point the light where you need it.